It's Sunday and I am just now posting for Fab Friday. It's been a long week back to school. Total bad excuse but it's true. I worked everyday 6:30-5:30 and didn't sleep at night. I don't know how to explain the sleeping problem and Marc does NOT understand it at all. LOL He said this happens every year once I go back until after the first day with kids. I am not sure I have this anxiety, but I can't think of anything but work during this time! Alas, I did make this card ahead of time and am posting it (better late than never). Enough of the whining, let's get to the main event! I know I have said I love fall, but it's hard because we don't truly have fall in Florida. Our fall-type weather is in the winter and even then, it's not a real fall. So I just loved playing with these colors. 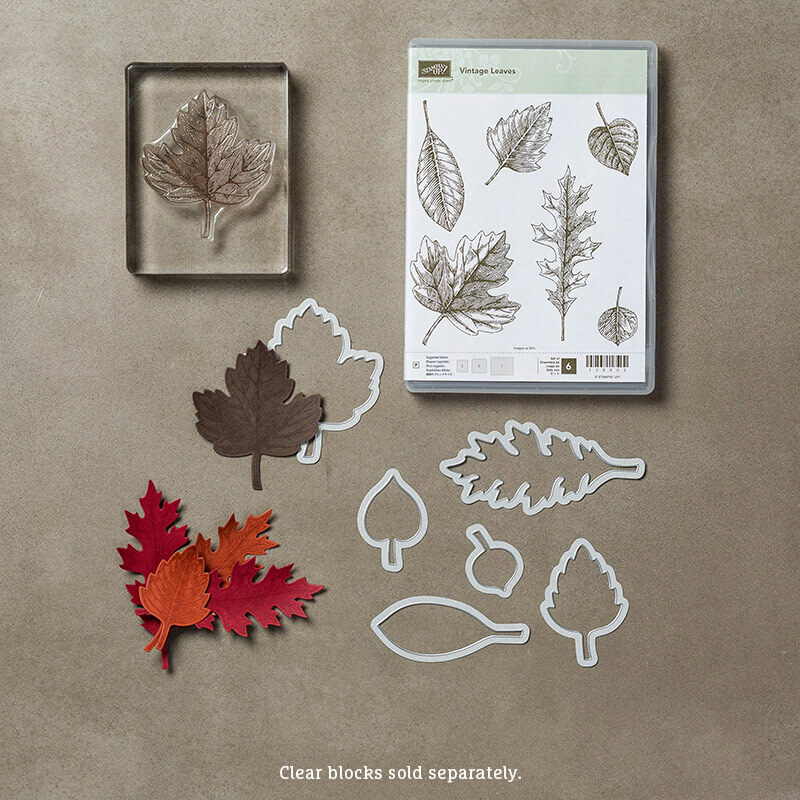 I knew right away that I wanted to use the new Vintage Leaves Stamp Set and Framelits bundle (which you save 15% by purchasing them together). You can order this perfect fall bundle through my online store using #140235. I promise you will love this set and find many uses for it over the coming months. For the colors, I used our color challenge colors, check them out below. Click on the link to take you to our page and post your creation using the colors! Wondering where I got the embossing folder? It's NEW! You will love it! I sponged all of the leaves and the sentiment (from For All Things) using our Stampin' Sponges. I really wanted it to look like those crunchy fall leaves that were in my front yard as a kid! Check out my supply list for all the specifics on what I used! Thanks for following me and be prepared for some great posts coming this week (hint, hint: you don't want to miss it!). Beautiful! I love Fall and your colors here really pop. Love that embossing folder; it's one of my favorites. The Blackberry bliss leaf with the other colors is outstanding! May I CASE it? Thanks so much Bobbi! CASE away! :) Thanks for following my blog! Christmas Cards in August! Two Cards for you!